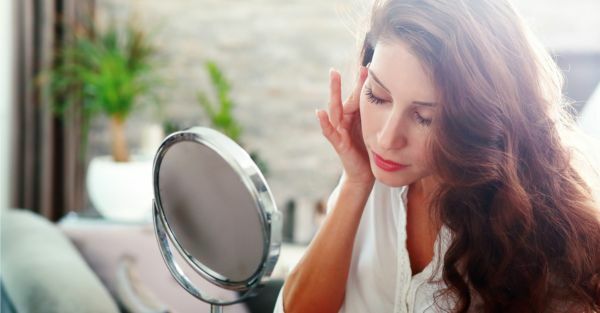 Dark Spots Begone: ALL You Need To Know To Prevent & Banish Those Pesky Blemishes! When you're on a quest for flawless skin, there are several tough obstacles that can come your way. Especially when you hit your late twenties. Apart from wrinkles, dark spots and pigmentation are also a matter of concern for most women. Small spots caused by sun damage and acne scars can make the skin look aged and dull. That’s why it’s important to not only prevent these spots but to also target them once they begin to appear. 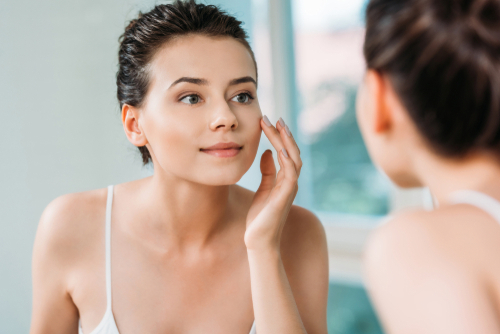 We’ve got some tips on how to eliminate these spots so that flawless, youthful looking skin is here to stay, for as long as possible. Let's begin first with the causes of dark spots, shall we? The more you touch your pimple, the worse it gets for your face. Dirty hands have bacteria and dust on them. When that comes in contact with your skin, it could clog up your pores and give rise to breakouts. To prevent dark spots, make sure to not pop your pimples. Avoid touching and irritating your zits. If you purposely burst them, they could get infected and leave behind dark spots. You should either leave the pimples alone or seek help from your trusty dermatologist. Women who are pregnant or are on birth control pills are prone to melasma. This happens due to an increase in estrogen. However, this only takes into effect if the skin gets exposed to the sun. Hence, always put on SPF wherever you go! Never use a face scrub more than twice a week. Overusing the product can be too harsh on your skin and cause inflammation. The moment that happens, the body begins to produce more melanin. More spots pop up and the existing ones get darker. The same way the sun causes dark spots, so does light bulbs. They cause pigment production and can leave behind dark spots. Hence, it's advised to sleep with all the lights off. Dark Spots Can Pop Up Anywhere! 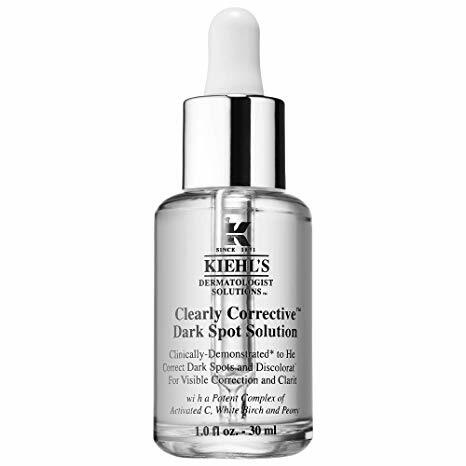 Any place that you've forgotten to apply dark spots is where you will get dark spots. Usually, it pops up on your face. However, you can get them at the back of your neck, thighs, hands, arms, chest. Hence ladies, never forget to apply sunscreen before you step out from your home. The spots on your skin might not cause you pain, but they're like bruises on your skin. The spots themselves are the skin's reaction to damage. You see, when the skin is exposed to the sun for a long period of time, the cells in our body can go into overdrive mode and produce more pigment to protect the skin. However, post-production, it has a hard time fading away and the spots remain on the skin. Sweat mixed with residue from deodorant and bacteria can give rise to dark spots. Shaving can be a culprit too. Taking frequent showers and avoiding outdoor activities when it's hot outside can help prevent dark spots from popping up on your underarms. You don't always have to use sunscreens or lotions to brighten dark spots on the skin. Sometimes, a lil bit of exfoliation can go a long way. Scrubbing your face will not only get rid of all the dead skin cells but will also give your skin a smoother, brighter and even-out complexion. The sun isn't the only one to be blamed for your dark spots. Acne, genetics, and ageing too play a major role in giving rise to dark spots. Applying sunscreen and moisturising your skin using lotions and creams regularly will lessen the chances of dark spots forming. Part of getting rid of pigmentation and dark spots is to make sure they don’t happen in the first place. The most common reasons why spots appear on the skin is sun damage and acne scarring. Both of these are easy to tackle, considering there are so many products available that can help with these issues. Sunscreen has possibly been the most talked about product. The fact of the matter is, the sun’s harsh UV rays are our skin’s number one enemy. Not only does skin get darker, but it dries out, fine line start to appear and so do dark spots. Apart from roaming around in a Halloween ghost sheet costume, the best way to ward off the sun’s rays is to wear sunscreen. Apply sunscreen to the face 20 minutes before leaving the house, so that your delicate skin has the most amount of protection. Depending on your preference, an SPF of 25 and above is optimal. Stronger SPF can be used on the body, to protect the skin on your arms and legs. If you’re out by the pool or on the beach, make sure you apply sunscreen once every 2 to 3 hours, for ultimate protection. Another great way to work SPF into your daily routine is to find makeup that comes with it. Many foundations, lipsticks and even mineral powders have a degree of SPF in them to really help keep those dark spots at bay. Doing all these things now might seem tedious, but the reward will be a spot-free face in your 40s. Worth it, right? Acne is another contributor to dark spots which is usually caused by the scars that they leave behind. Firstly, these tiny scars or spots appear mostly because we tend to pick at our skin which causes irritation. So leave your acne alone, stop touching and prodding at it. Secondly, find a good acne treatment routine that works for you. Go to a dermatologist and get as much information about your skin as possible. Knowing what skin type you have will make it easier to buy the right over-the-counter products to help reduce acne. Washing your face frequently, with anti-acne or anti-blemish face washes will help prevent sebum buildup that causes acne. Products which contain salicylic acid, from face washes to make-up remover wipes all help with reducing acne. Tackling your acne issues head-on will have a huge impact on those acne spots that are left behind. If you’re doing your bit to prevent dark spots, then don’t panic when you start to see a few. There are a few things you can do, that will help to lighten them. Lime has been known to brighten skin and is often used in home face masks for that very reason. We suggest using a raw lime, cut in half, dipping it in sugar granules and gently rubbing it over the face. This exfoliating scrub helps to remove dark spots while brightening skin. After you rub the sugar around your face, keep the lime-sugar mix on your face till it dries. Then wash your face with water or a gentle face wash to remove. Doing this once a week will help with those dark spots. 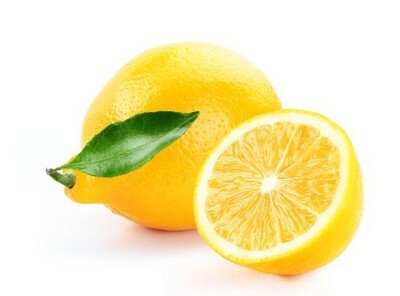 Always consult a dermatologist before trying these home remedies, some people do see an adverse reaction from the lime. So if you feel a tingling or burning sensation, rinse immediately. There are a whole host of dark spot creams available in the market and they come in at different price points. 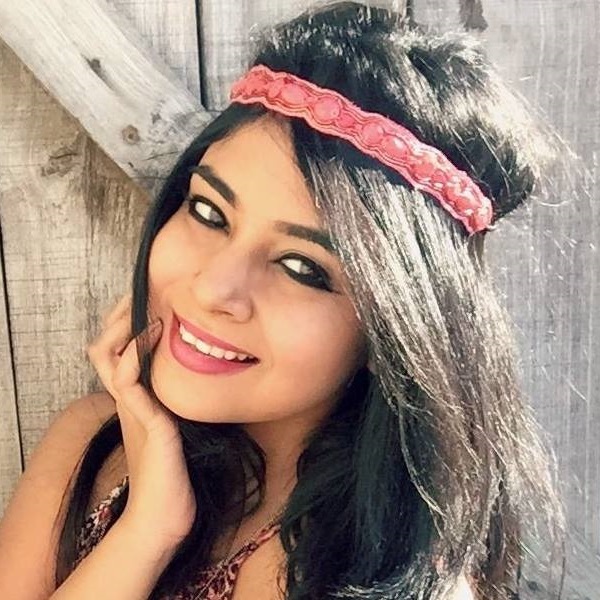 You can opt for natural-ingredient spot creams from brands like Lotus and Himalaya, or go for the stronger dermatologist tested ones from Avene or Clinique. There really are a whole lot of options available, the only way they are effective though is if you use them regularly. We suggest getting a spot treatment cream and using it over dark spots every day for a few weeks. Repeated use will help lighten dark spots. Laser treatments are often used for severe pigmentation and many beauty clinics have different programs that target dark spots. Depending on the size and colour of your pigmentation, most clinics will suggest the best course of action and number of sessions required. These laser treatments are usually non-invasive and painless and offer quick results. However, these treatments aren’t for everyone, depending on your skin type and how sensitive it is, you may consider not going for a laser treatment. It is advisable to speak to a specialist first before considering a treatment such as this one. Chemical Peels are another option that your dermatologist might suggest. It is essentially an application of a chemical that will cause your skin to react and peel off, giving way to new skin cells to regenerate and hence, reducing dark spots. Yes, that sounds scary, but they are relatively painless, and always conducted by a professional. The most common peel is done with alpha-hydroxy acid, which is like glycolic or lactic acid, the strongest is done with a chemical called Phenol. Depending on the size, colour and density of your dark spots, your dermatologist will suggest the best option. Finally, regular face brightening facials and body scrub spa massages will also help you battle dark spots. If you’re not too bothered about these pesky spots but still want a handle on them, then regular spa and salon visits will help your overall appearance. Many salons offer face brightening facials that use products that target spots, pigmentation and dead skin cells. Having these facials once a month will help reduce and prevent dark spots in the long run. Age spots, pigmentation, acne scars, liver spots, whatever the reason of concern, the beauty industry has a solution to every blemish. Whether over-the-counter products or intensive treatments, a mixture of preventive measures and consultations will help you combat dark spots. So, enjoy being comfortable in your skin no matter its appearance! Prefer The Natural Route? Check Out These Home Remedies For Dark Spots! Potatoes are yum. You can make french fries and hash browns with them! However, they do have beauty benefits as well! Packed with vitamin B6, C, potassium and phosphorus, they help fade away dark spots too! Step 1: Chop potato into fine slices. Step 2: Soak them in lemon juice for 30 seconds. Step 3: Place on the dark spots for a while. Step 4: Don't remove them once 10 minutes are up. Step 5: Wash your face with plain water. Once a day for a month is good enough. 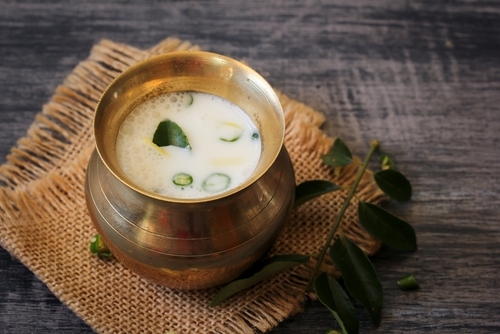 Did you know that buttermilk contains lactic acid and helps to remove dead skin cells? It's absolutely amazing! While it lightens dark spots, it improves the texture of your skin as well by making it soft, smooth and moist. Plus, it costs less than a trip to the dermatologist! Step 1: Pour buttermilk into a bowl. Step 2: Dip a ball of cotton to the bowl. Step 3: Dab the cotton soaked with buttermilk on the dark spots. Step 4: After 30 minutes, wash the buttermilk off. Every day for two weeks for positive results. Aloe Vera Pulp For The Win! Aloe vera pulp can be labeled as your skin's bestie because it has antioxidants, vitamin C, A and enzymes. It's perfect for brightening skin, healing dark spots and rashes. Step 1: Cut a leaf from the aloe pulp. Step 2: Use a spoon to scoop all the aloe pulp out. Step 3: Dip your fingers into the bowl. Step 4: Apply the pulp on your spots and wash only after it dries up. Step 5: Wash your face after. Twice a week will do. Chickpeas are good for women who have dark spots and are battling with wrinkled skin and fine lines. It's loaded with vitamin B and can be used to exfoliate skin as well. Here's how to befriend this humble ingredient! Step 1: Boil a cup of chickpeas. Step 2: Throw out most of the water and leave only a little behind. Step 3: Wait for it to cool down and begin mashing the chickpeas. Step 4: You should be left with a thick chickpea paste right now. Step 5: Apply the paste ALL over your face and leave the paste to harden and dry for good 30 minutes. Step 6. Wash the paste off after 30 minutes. Once a week for two months and you're sorted. Walk into an Indian household and you will find a bottle of turmeric in the kitchen! Indians love this ingredient and use it as an important spice for cooking. In fact, it also comes with many beauty benefits as well. They help brighten the skin and fade away dark spots. Step 1: Pour yourself a glass of milk. Step 3: A tablespoon of haldi and use a spoon to mix all the ingredients. Step 4: Apply the pack all over your face and only wash it once you're done. Step 5: Wait till the mask hardens naturally and later, wash your skin with cool water. Thrice a week and your spots will be gone. 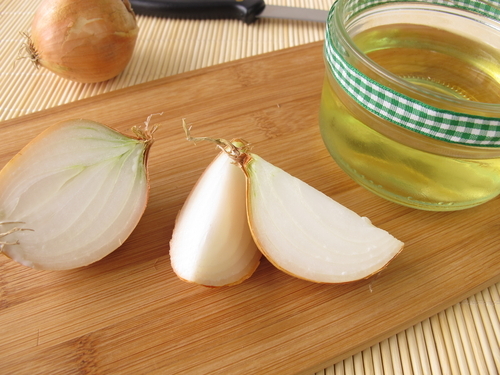 Before you cringe, let us break it to you that onions are fantastic for your health and skin. They're rich in sulfur and vitamins A, C and E. Here are how to use them to treat dark spots! Step 1: In a blender, toss 2 pods of garlic and 1 onion. Step 2: Pour the mix into a bowl and gently dip a ball of cotton. Step 3: Apply it on your marks. Step 4: Don't wash the area until the onion solution dries up on your skin. Thrice a month will get rid of those dark spots for sure. In Case You're Curious To Learn More, Here Are a Few More Quick And Easy Tips To Get Rid Of Dark Spots. 1. Dip a ball of cotton into a bowl of rice water. Apply it to your dark spots every night before you sleep. 2. On a clean face, apply an egg white mask and wash it off after an hour. Use it twice a week for positive results. 3. Once a week, exfoliate your face with coffee powder and honey. You'll get a clearer and brighter complexion in no time. 4. Pour aloe juice into an ice tray and rub the cube on your face once before you hit the sack. 5. Opt for a natural mask using papaya pulp, honey and milk. Once a week for good results. 6. Splash cold green tea on your zits every morning after waking up. 7. Make powder out of orange peels and mix it with a tablespoon of honey. Massage well into the skin and after an hour, wash with cold water. 8. Your face wash should contain green tea, aloe, honey or watermelon extract. 9. There are plenty of facials out there, but a fruit one will benefit your skin the most. 10. Cleanse, tone and moisturise your skin every day to keep the dark spots away. Here Are Some Of The Best Products For Dark Spots! 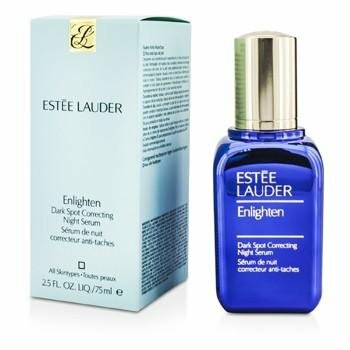 For dealing with dark spots this product is the bomb! All you have to do is apply the product once in the morning and once at night on a clean face. You'll wake up with prettier skin the next day. Price: Rs 4100. Buy It here. For moist and hydrated skin, you should give this serum a chance. Apply it at night for a month and you'll begin to see results gradually. Price: Price: Rs 5,900. Buy It here. This one is the least expensive from the two products but is pretty decent too. 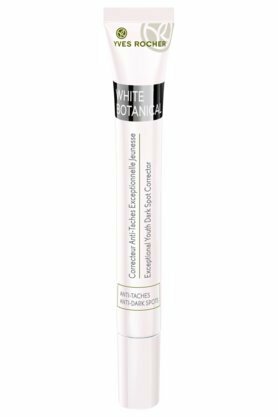 It contains licorice and does a fantastic job at making skin feel smooth and soft. Plus, no more dark spots! Price: Price: Rs 1,300. Buy It here. Now that you know the home remedies and treatments to prevent dark spots, it isn't enough. It's largely to do with your lifestyle choices as well. 1. Wash your face often, moisturise and don't skip the SPF. 2. Avoid eating food that's loaded with oil and drink a lot more water and juices. 3. Stay hydrated and keep away from junk and fatty foodstuffs. 4. Pamper yourself every alternate day by slapping on sheet masks and applying sleeping masks. That way, your skin will reward you with radiance and glow.